Cyril Neville On Mountain Stage The youngest of New Orleans' first family of funk, Neville spent many years performing with his brothers before collaborating with a variety of popular artists. He recently released Brand New Blues, his fourth solo album. 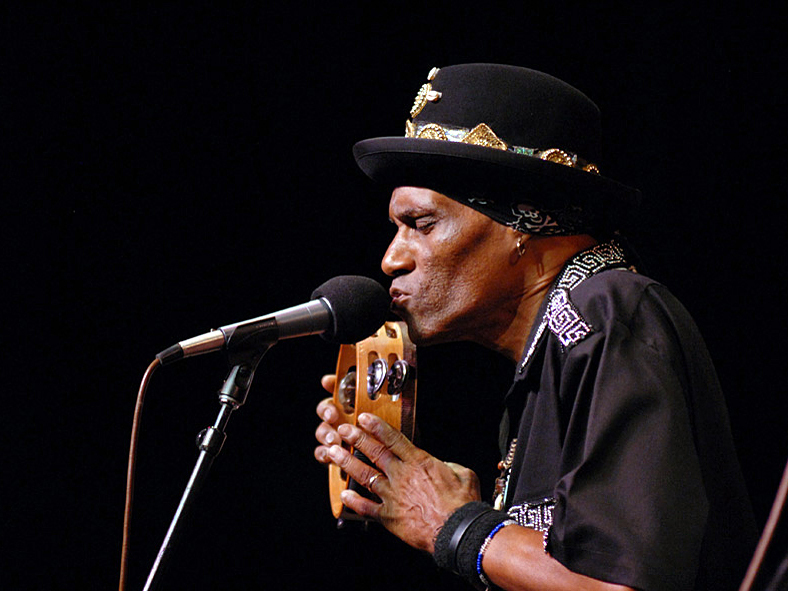 The youngest of New Orleans' first family of funk, Cyril Neville released his fourth solo album, Brand New Blues, in April 2009. In addition to his longtime contributions to The Neville Brothers, Cyril has guested on several albums over the years by artists like Dr. John, Edie Brickell, Jimmy Buffett and Bob Dylan. In 2008 he joined fellow New Orleans musicians Tab Benoit, Big Chief Monk Boudreaux and others in a group dubbed The Voice of the Wetlands All-Stars. First performing professionally at age 19 with his brothers (in Art Neville and the Neville Sounds), Cyril and Aaron went on to form Soul Machine. In the 1970s Cyril joined the legendary funk group The Meters as a percussionist and vocalist, contributing to their albums of the period, including Cabbage Alley and Fire on the Bayou. Handling lead vocals with his wife Gaynielle Neville, Cyril is joined here by Omari Neville on percussion, Norman Caesar on keyboards, Ricky Ceaser on drums, Manny Yanez on bass and Jimmy Dreams on guitar. This feature originally ran Sept. 24, 2009.